Joined by brother Jason in the Patriots’ secondary, McCourty was third on the team with 77 total tackles this season. 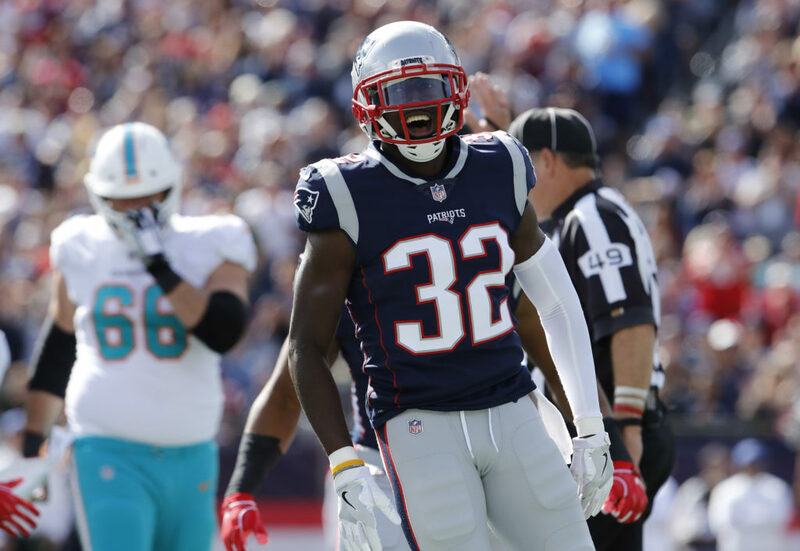 Like most of his New England teammates, McCourty has plenty of big-game experience, which can’t be downplayed as he tries to win his third Super Bowl. 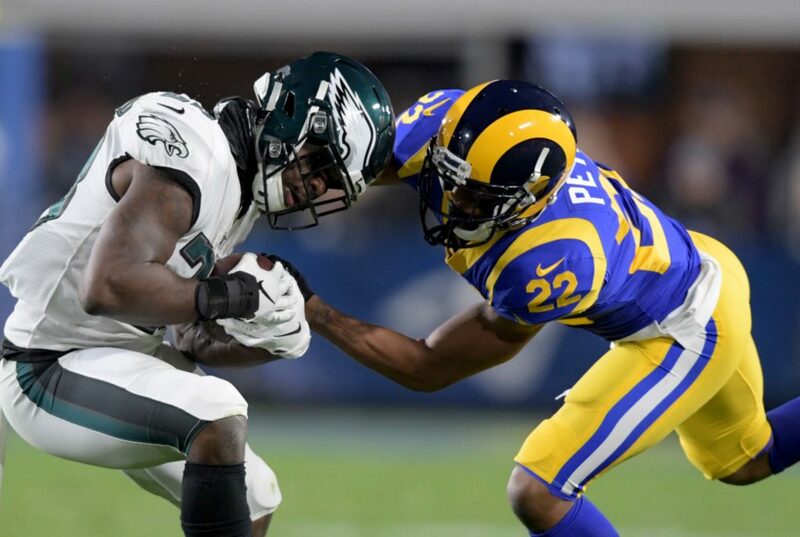 Peters’ first season with the Rams will likely be remembered more for his trash-talking mouth than his play on the field. He hasn’t been bad, with three interceptions, but was often victimized on deep routes. Still, L.A. needs him to be at his best in Atlanta. It will be interesting to see how the Patriots plan to attack Peters – both on or off the field. A Jaguar to begin the year, Fowler has found a home in Los Angeles. He’s been a starter at outside linebacker since Nov. 19, and has come on big time during the postseason — posting eight tackles, 1 ½ sacks and three quarterback hits. Reaching the Super Bowl should be a special moment for Fowler, whose career almost ended before it started with a torn ACL as a rookie. 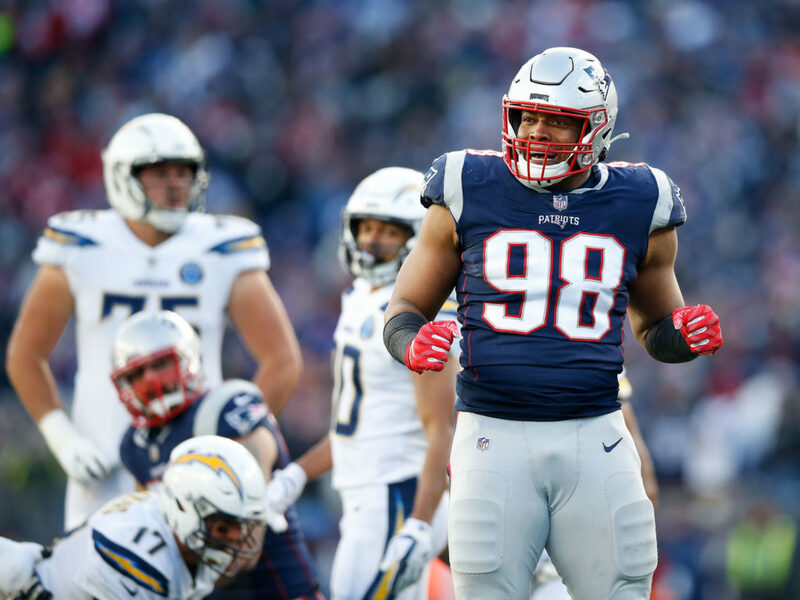 The fourth-year pro recorded a career-high 7 ½ sacks this season, and had one in each of the Patriots’ two postseason games. He was particularly disruptive against the pass and run versus Kansas City. New England’s 30 sacks were tied for second-fewest in the league, but Flowers has the potential to be an X-factor against the Rams. It’s not often a punter is among the top players on the field in any NFL game, let alone the Super Bowl. Hekker, though, is more than a punter. His arm is an asset on the fake punt, as New Orleans experienced in the NFC Championship Game. 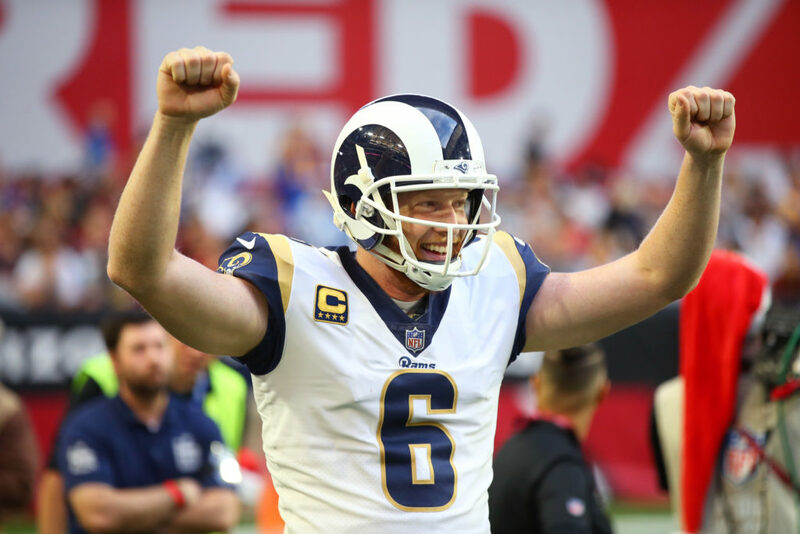 For his career, Hekker is 11-of-19 passing for 156 yards and one touchdown. He’s also an expert kick holder, as we saw on the Rams’ field goal that kicked them into the Super Bowl. 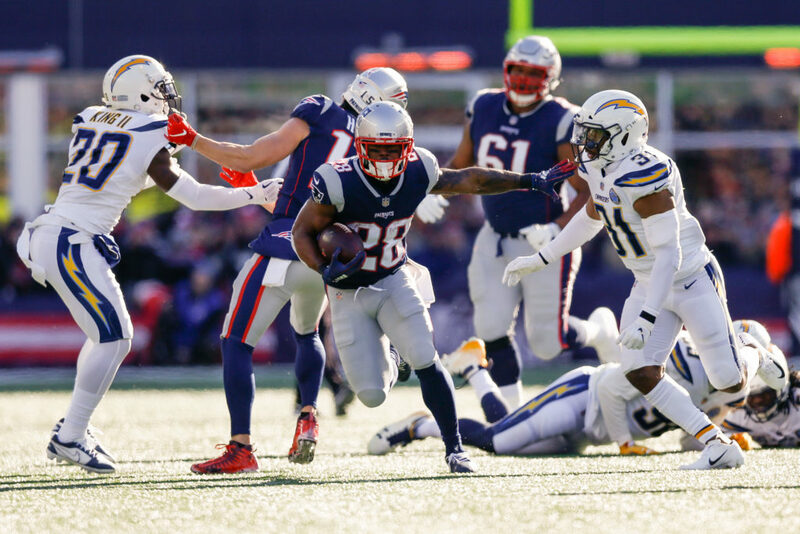 Game-planning to stop the Patriots rush attack can be maddening because of the various options they possess. 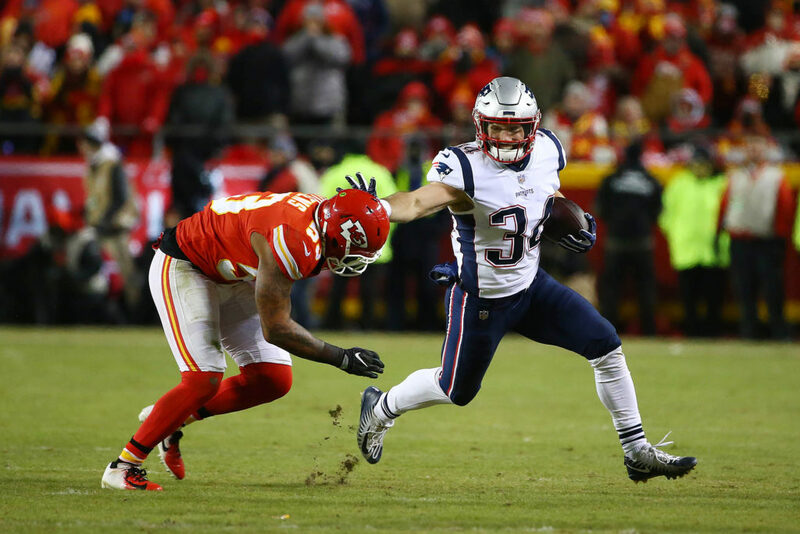 A neck injury kept Burkhead out half of the regular season and he had more fumbles (two) than touchdowns (none). 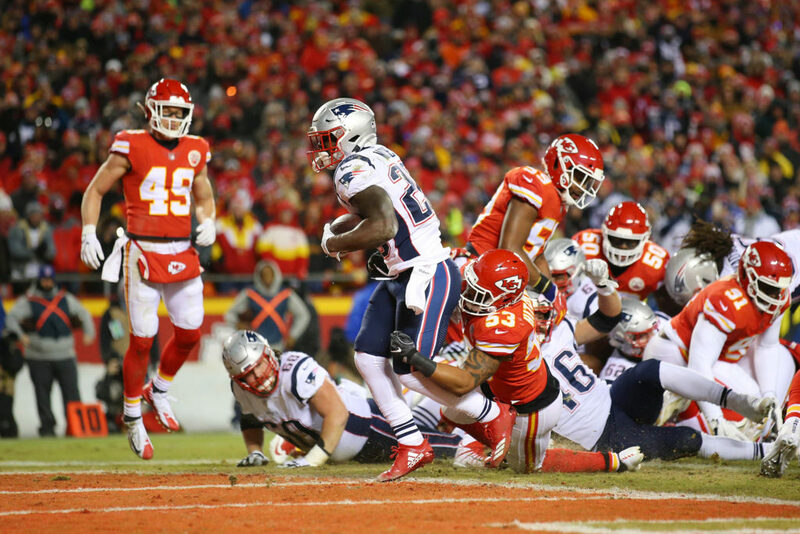 However, he’s come up big for New England in the postseason (64 total yards at Kansas City) with three rushing touchdowns, including the game-winner in the AFC Championship Game. 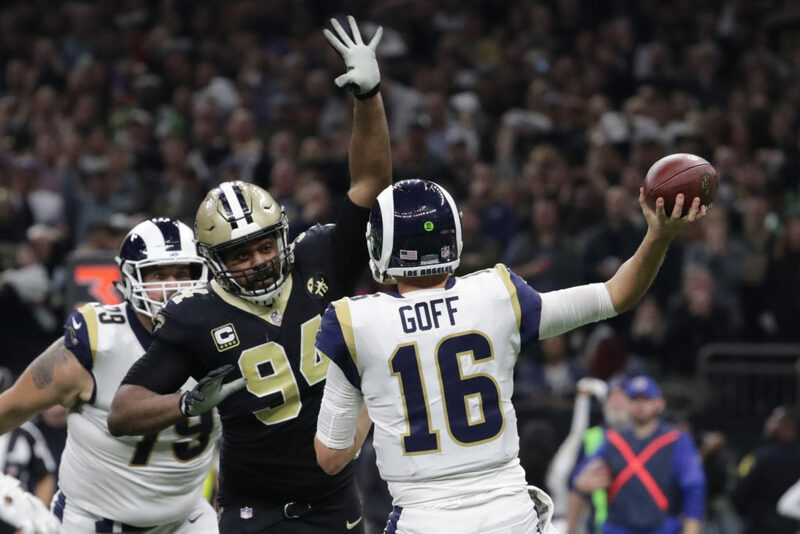 The big fella couldn’t hold back the tears when the Rams secured a berth in the Super Bowl. 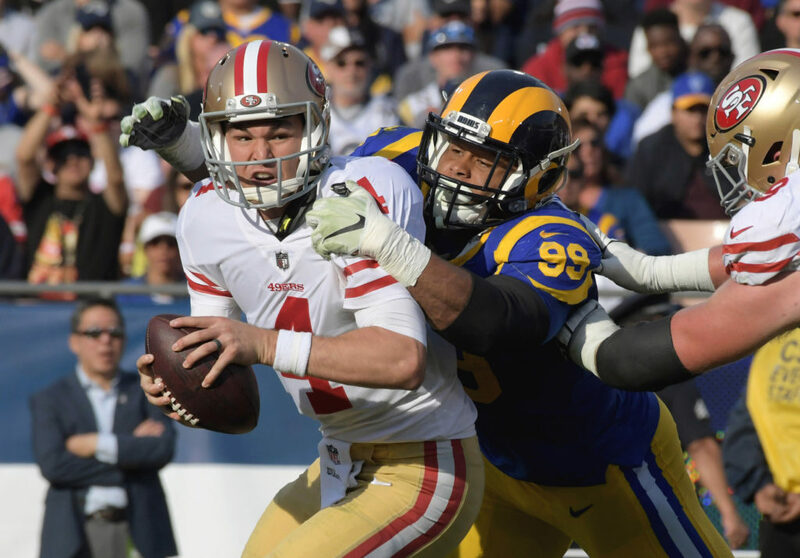 Suh isn’t needed to be the star of the Rams defense, but he’s still been a solid addition with 4 ½ sacks, 59 tackles and 19 quarterback hits. Fantasy players might have been burned by Hogan (35 receptions, three touchdowns) this season, but in every Super Bowl there seems to be that one guy who steps out of the shadows and delivers in the primetime light. Hogan can be that guy again, especially after catching six passes for 128 yards and a touchdown in last year’s Super Bowl loss to Philadelphia. The Rams’ leader with 125 tackles, Littleton is at his best against the pass. Which should come in handy, especially considering New England’s knack for using its running backs as pass catchers. Littleton had three interceptions and four sacks in 2018 and also gets the job done on special teams. In his second season, Johnson has blossomed into one of the top safeties in the game due to his effectiveness defending both the pass and run. 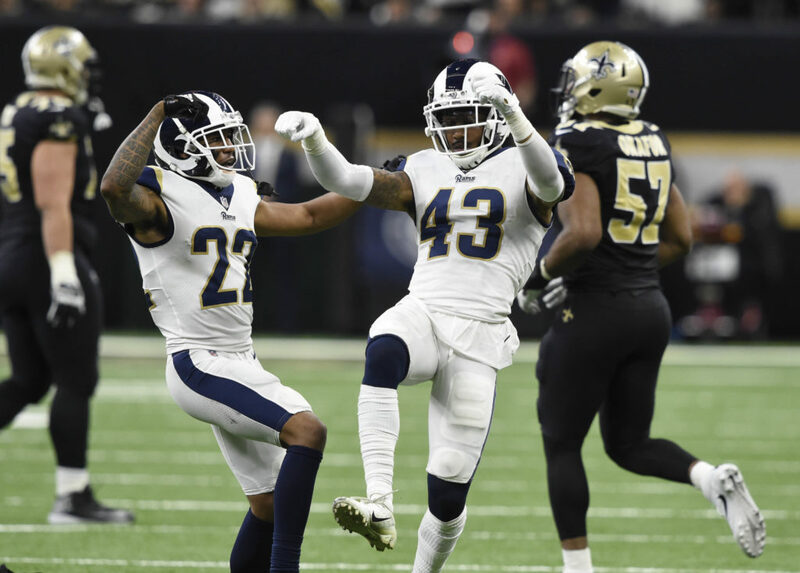 He was the Rams’ second-leading tackler with 118 and led the team with four interceptions. His interception of Drew Brees in overtime of the NFC Championship set up L.A.’s game-winning drive. Staying healthy has made a big difference in Van Noy, who is enjoying his best season as a pro. He led the Pats with 89 tackles, recorded 3 ½ sacks and picked off one pass while starting all 16 regular-season contests for the first time. 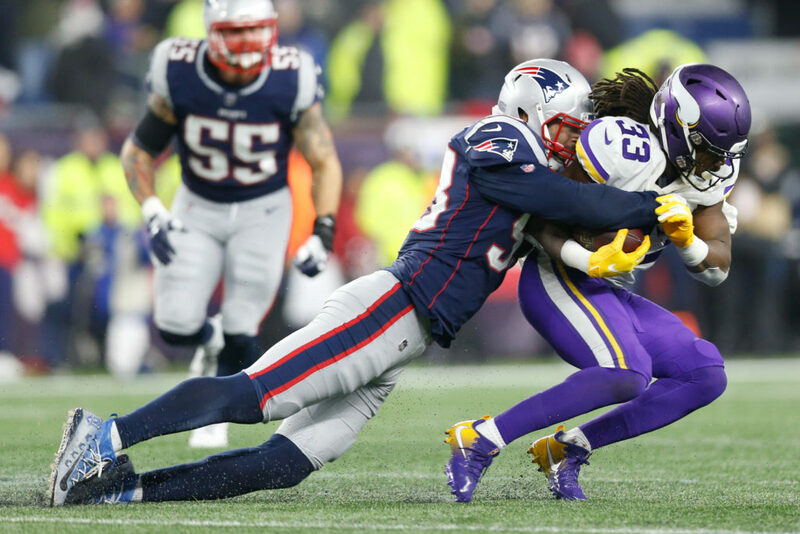 With eight tackles, two sacks and a forced fumble, Van Noy was New England’s best defender against the Chiefs. The third time – or team, rather – has been the charm for Anderson in 2018. 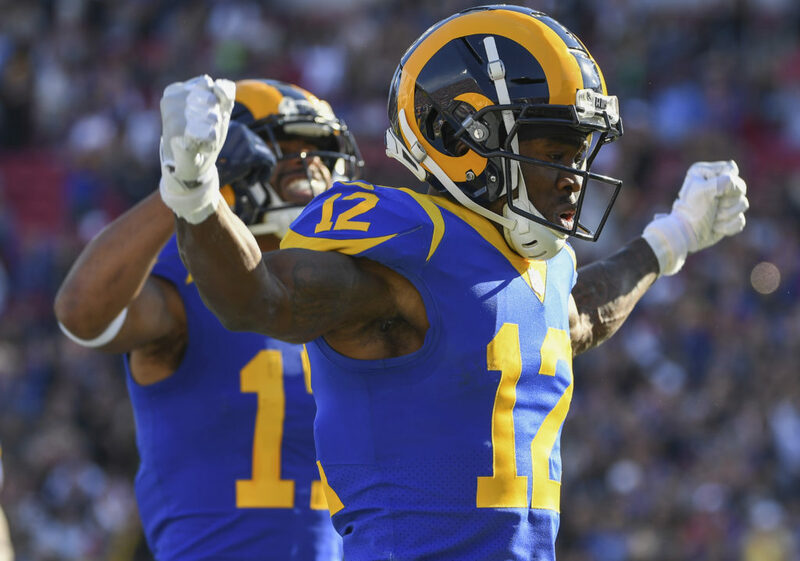 He began the season with Carolina — where he didn’t score a rushing touchdown in nine games — went unused in Oakland, and has thrived during his short time with the Rams. 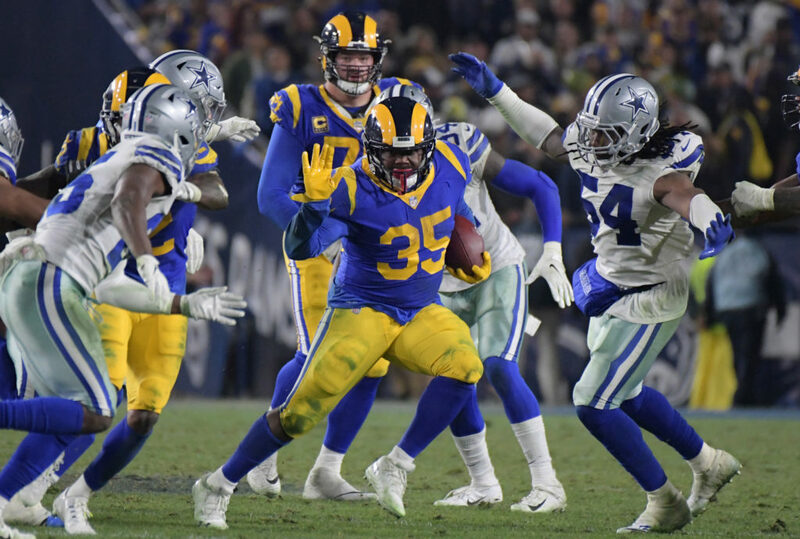 After rushing for a TD in each of his two regular season games with the team, Anderson scored twice while gaining 123 yards in the Divisional Round win over Dallas. He proceeded to pick up 44 yards versus New Orleans. With the health of Gurley remaining a mystery, expect Anderson to have a role in this game, too. The Pro Bowler is the Patriots’ top cover corner and perhaps their best overall defender. 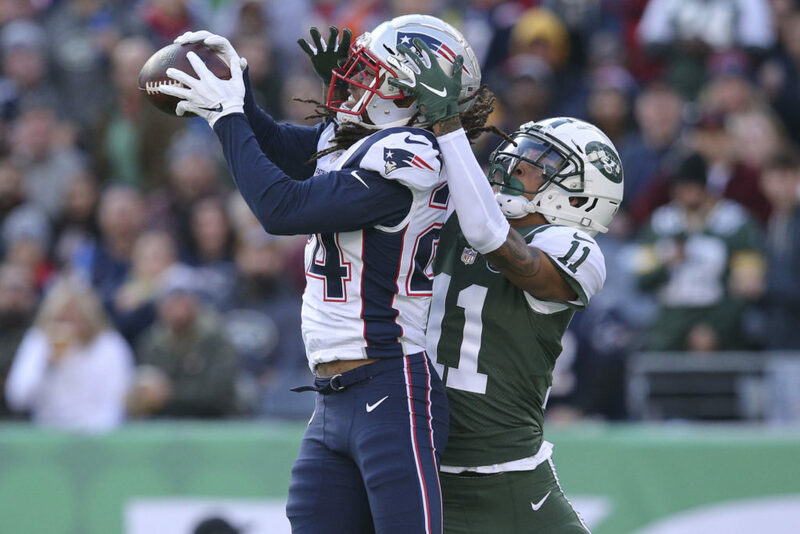 Gilmore, who had two interceptions and broke up 20 passes during the regular season, will have his work cut out for him against Los Angeles’ talented receiving corps. Then again, he’s likely eager for the challenge. 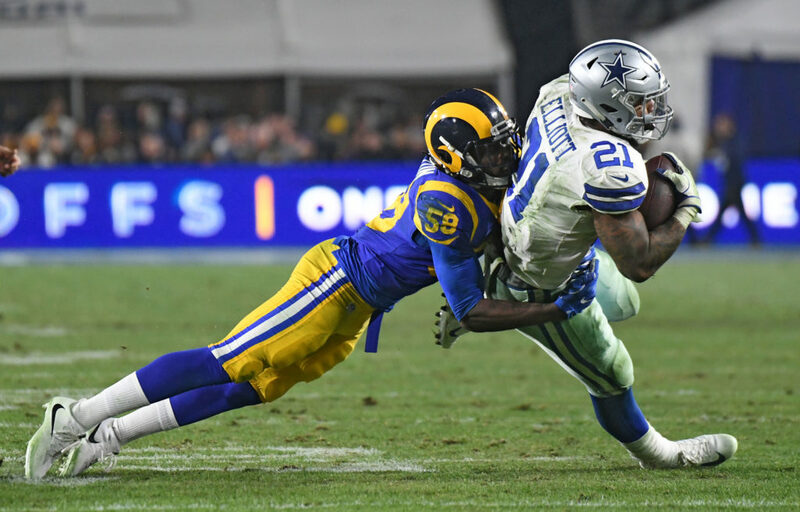 When Cooper Kupp suffered a season-ending knee injury midway through the campaign, Woods became a more prominent option in the Rams’ passing game. So much so, that he ended the regular season L.A.’s leader in receptions (86), yards (1,219) and co-leader in touchdowns (six) – all career-high totals. 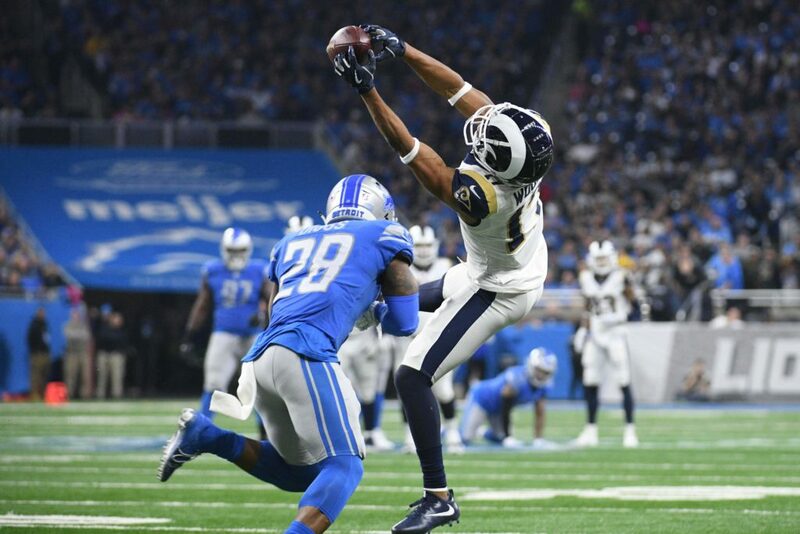 He caught six passes in each of the Rams’ two playoff contests. This should be a pretty sweet matchup for Cooks, facing the team he spent the 2017 season with and trying to earn a Super Bowl title he fell short of last year. Cooks, who should often draw good buddy Stephon Gilmore in coverage, caught just one pass in the Super Bowl last season. Following an 80-reception regular season, Cooks has 11 in the playoffs, including seven for 107 yards against the Saints. Again, who shines the brightest in the Pats’ backfield is usually a crap shoot. If they are intent on running the ball, Michel is the obvious guy. He ranked fourth among rookie running backs with 931 yards and had six touchdowns this regular season. He’s been even better in two postseason games with 242 rushing yards and an NFL rookie-record five touchdowns. We’ve all seen what White is capable of doing when the lights shine the brightest — White has four touchdowns in two Super Bowl appearances. His 14-catch, 110-receiving yard, three-touchdown performance against Atlanta in Super Bowl LI won’t soon be forgotten. 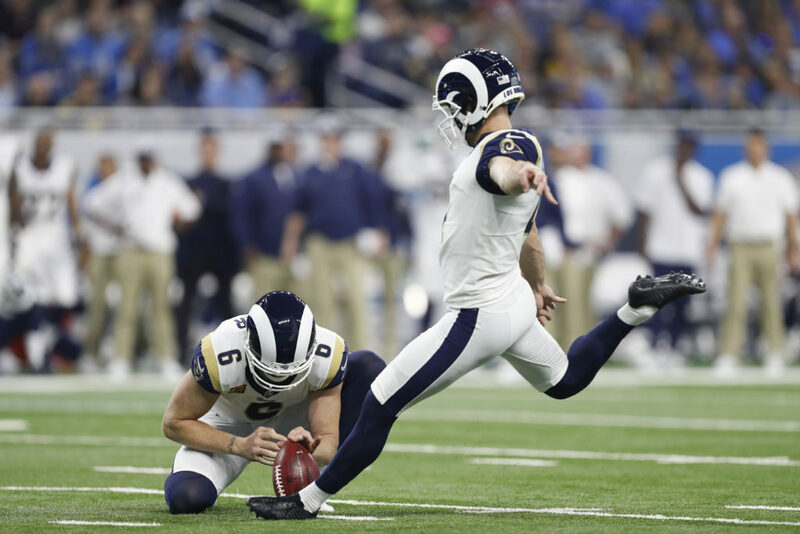 Known as “Legatron,” Zuerlein’s successful 57-yard field goal in overtime of the NFC title game was the longest winning kick in the history of the NFL playoffs. He also curled one in from 48 yards out to force the extra session. 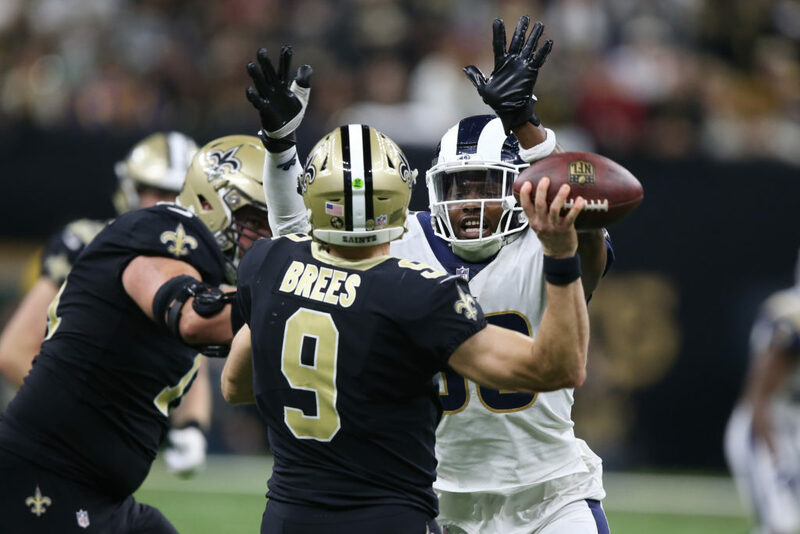 Zuerlein’s 4-for-4 field goal performance against the Saints proved the pressure of the postseason did not get to him. Will that be the case again? While Greg Zuerlein embarks on his Super Bowl debut, Gostkowski is headed to his sixth. He’s 5-of-6 on field-goal attempts in such games, so he’s obviously no stranger to the pressure that comes along with the Super Bowl. 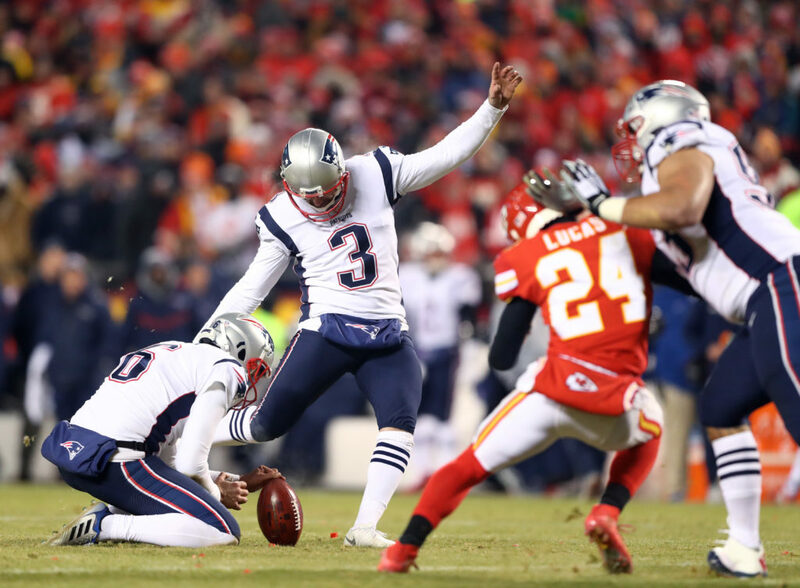 Interestingly enough, Gostkowski has never attempted a field goal of 50 or more yards in his previous five trips. 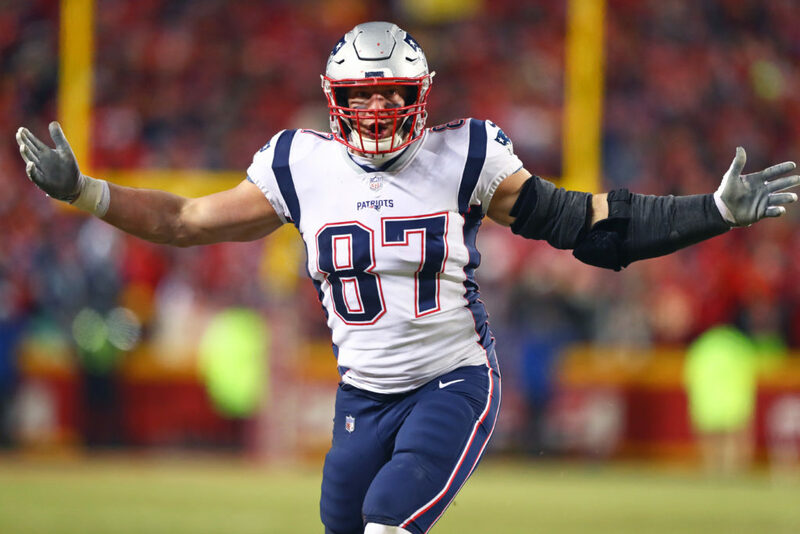 It’s been an up-and-down season for Gronk in 2018, and health again played a part. However, one has to expect he’s going to play a key role in this game. He showed plenty of passion while catching six passes for 79 yards in the AFC title game. In three previous Super Bowls, Gronkowski has 17 receptions for 210 yards and three TDs. Perhaps no other player on the field will feel the pressure more than Goff. Sure, he’s stoked to be here, but it will be interesting to see how well he handles things before and during the game. Goff hasn’t needed to do much in the postseason thus far, but is completing just 58.8 percent of his passes. The good news for Rams fans, he’s only been sacked once in the previous two games. However, expect New England to put plenty of pressure on the young man. Edelman has been itching to get back to the Super Bowl after missing last season with an ACL injury. 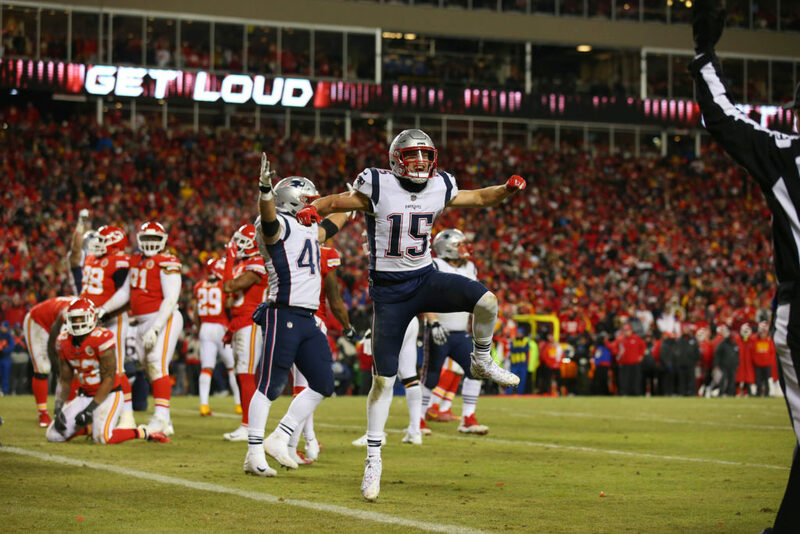 He might be New England’s best offensive player in the postseason to date with 16 catches – a number of which came at key times – for 247 yards. 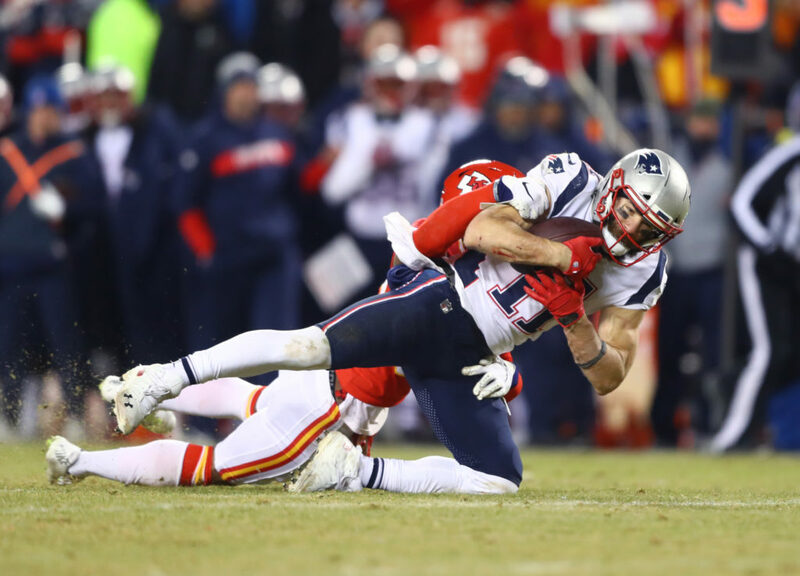 In his last two Super Bowl appearances, Edelman had 14 receptions for 196 yards and a TD. 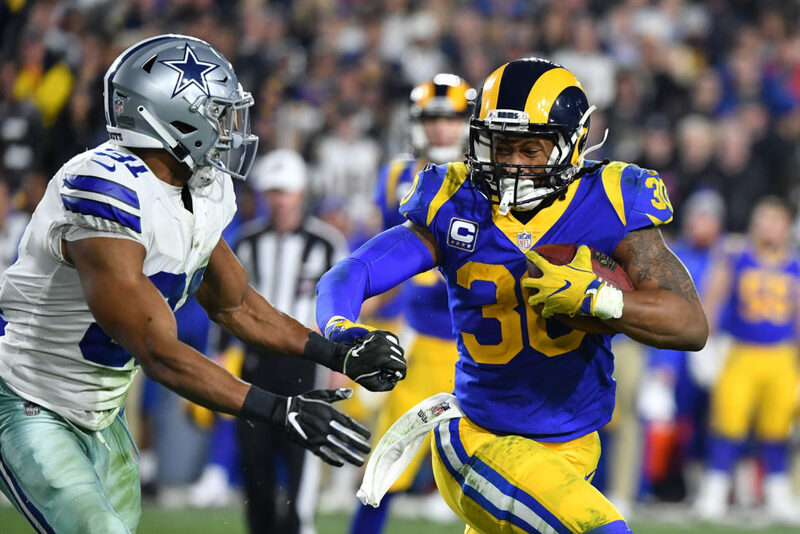 If the Rams are smart, they will give the ball to Gurley early and often. If anything, just to ease Jared Goff’s burden. Gurley is the best running back in the game and likely needs to play like it if the Rams are to prevail. He was huge against Dallas in the Divisional Round (115 yards, one TD), but had just four carries for 10 yards versus New Orleans. Coach Sean McVay took the blame for the latter and doesn’t expect that to happen in Atlanta. In the Super Bowl, a team’s biggest star needs to be at his best. 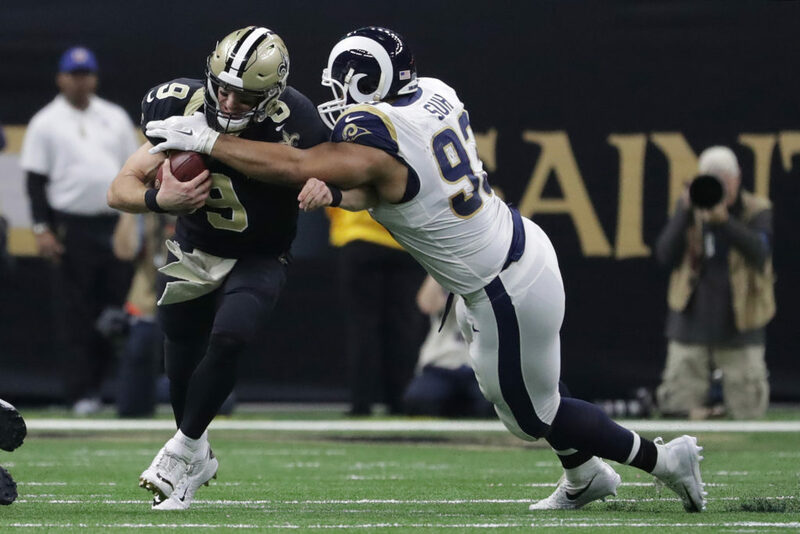 Donald is the league’s best defensive player and after a regular season that featured 20 ½ sacks, 25 tackles for loss and 41 quarterback hits, he embarks on the biggest game of his career. Donald must be a force against a quarterback who’s made the Super Bowl feel like a second home. Here we go again. 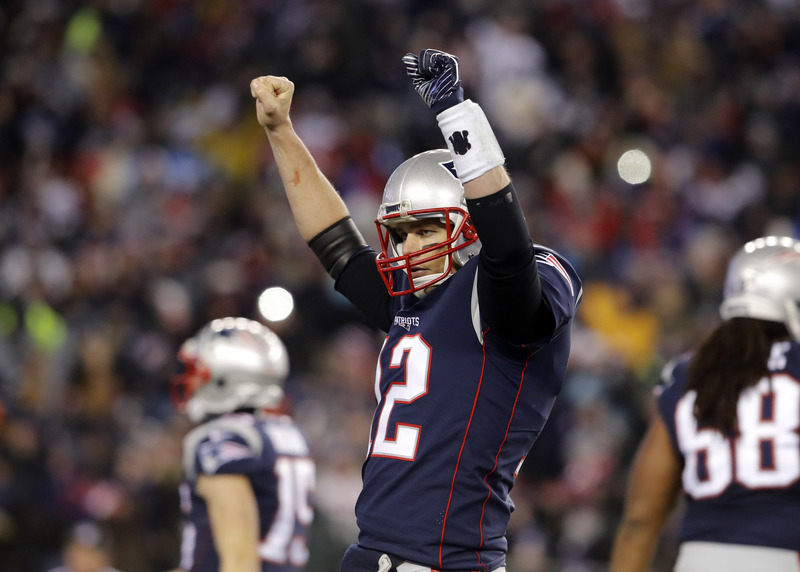 A triumph over Los Angeles, and the 41-year-old Brady will sit alone in NFL history with six Super Bowl victories. He’s 5-3 in Super Bowls, completing 65.8 percent of his passes for 2,576 yards, 18 touchdowns and five interceptions. His four Super Bowl MVPs are the most in league history. 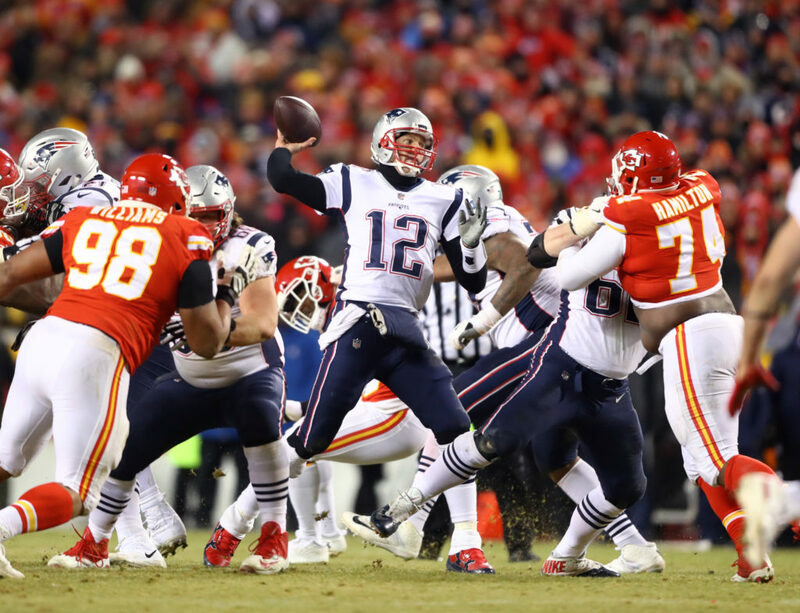 It’s fitting that Brady’s first Super Bowl appearance – and win – came against the Rams 17 years to the day of this contest.